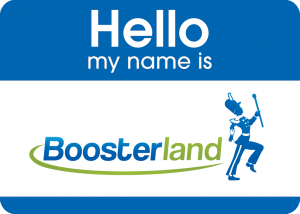 Welcome to the Boosterland blog! This is my first post, my “Hello, world” to the booster club blogosphere. In addition to a blogger, I’m a techie, a green entrepreneur, a planner, an outdoors enthusiast, and a member of a large and socially engaged family. I cherish the years I’ve spent enjoying 4-H, volunteering, and sports–first as a player and later as a coach. It’s with those experiences that I approach boosterland.com and the Boosterland Blog. Boosterland’s mission is simple: to make extracurriculars accessible to all high school students. I founded the Boosterland blog as a platform for sharing. When you read articles, comment, or respond to polls, you participate in a community based on sharing experiences. While fundraising is a popular topic in my posts, I hope you’ll tell Boosterland about other aspects of your club as well. How does your club engage the community, create tradition, and, of course, support the development of young people? I sincerely value your comments on these issues (yes, I read all the comments), as do your fellow readers. I want Boosterland to be as active and accessible as possible. Many booster clubs are funding not just the gaps, but the entirety of extracurricular programming. Without the passion of booster club volunteers, so many programs would get cut. But passion is really the beginning. We also need smart fundraising, strong community building, and continuity in our booster clubs and the programs they support. It’s helpful for me and Boosterland as a whole if you take the anonymous polls that you find in the sidebar. It helps me understand who I’m writing for, what types of schools I should research, and whom I should interview for future topics. If you have any questions, or would like me to post on a specific topic, please send me a message. I’m happy to hear from you!